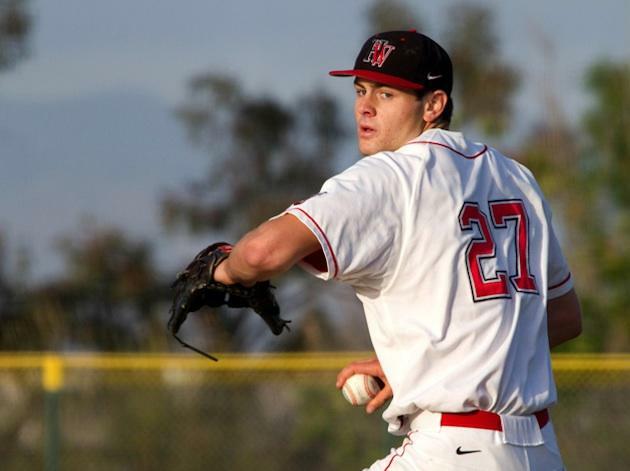 Harvard-Westlake (Calif.) High is expected to be one of the best baseball programs in the nation, if not the best altogether. There's good reason for that: The Wolverines boast a pair of pitchers who are likely the best right- and left-handed prospects in the nation, an unheard of feat for any program. One of those pitchers wasted no time in proving he has big plans for his senior season, hitting the ultimate golden number on the radar gun during a one-hitter season debut: 100 mph. That's right, even though the game in question was played in February, a high school fireballer is already reaching 100 mph. The superstar prospect is Lucas Giolito, an absolute dynamo of a pitching prospect who shouldn't last past the first 10 picks in this summer's MLB entry draft. If he's still around after that, something has gone very, very wrong. In other words, Joel Zumaya can skip elbow surgery and pursue his professional fishing dreams. Giolito can cover his roster spot among the fraternal order of MLB fireballers. It's easy to make those kinds of proclamations about the UCLA commit and Santa Monica resident because he has the uber-rare combination of size and talent that make him an almost can't-miss prospect. 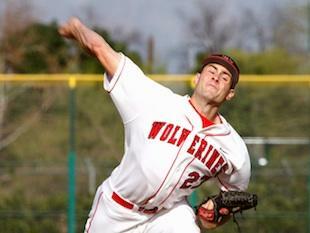 At 6-foot-6 and 230 pounds, Giolito already has an MLB build in high school. His fastball might even be the stuff of MLB All-Stars, considering the fact that he's now hitting triple digits. He had been recorded in the high 90s at past events, then broke through the barrier during his team's 11-0 shellacking of Woodland Hills (Calif.) El Camino Real High on Tuesday. By game's end, Giolito had struck out eight and walked none in a complete-game (7 innings) performance in which he allowed just one hit. In fact, the Los Angeles Times reported that Giolito was pitching a no-hitter with just two outs remaining when El Camino Real batter Mason Novak finally got a batted ball to slip through for a hit. While it's not unheard of for a prep pitcher to hit triple digits, it is unheard of for anyone to be throwing 100 mph in February. Considering the fact that Giolito is already reaching triple digits in his very first start of the season, it's frightening to think how dominant he could become, particularly if his breaking ball and command remain as consistent as they have been in the past. The zero walks in his first start certainly seems to indicate Giolito is as sharp as ever already. That's a terrifying prospect for any of the prep hitters who have to face off against him for the remainder of the 2012 season. Given his success so far, it might even be a scary thought for batters in the minor leagues within the next few months.